For a young 3 year old brandy, you don’t get much finer. 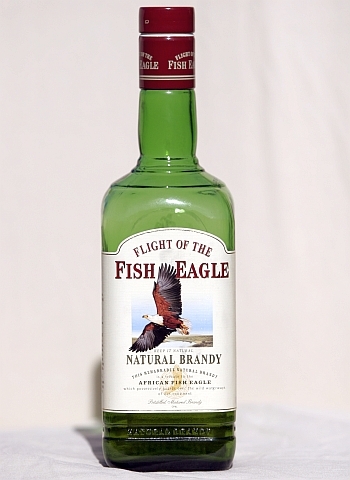 Flight of the Fish Eagle Brandy is perfect neat in a snifter with ice, or with ginger ale as my favourite mixed drink. Pure refreshment! My rating: 18/25. Straw, litchis, hint of almond. Drop a single ice cube in the snifter. Wait for it to chill down. This releases so much more on the palate, and the finish becomes very smooth. If not, the best tall drink in the business is a solid measure of Fish in a tall glass with ice, topped up with Ginger Ale. Allow to chill, sip and enjoy. Alternatively try Appeltiser, its also really good.